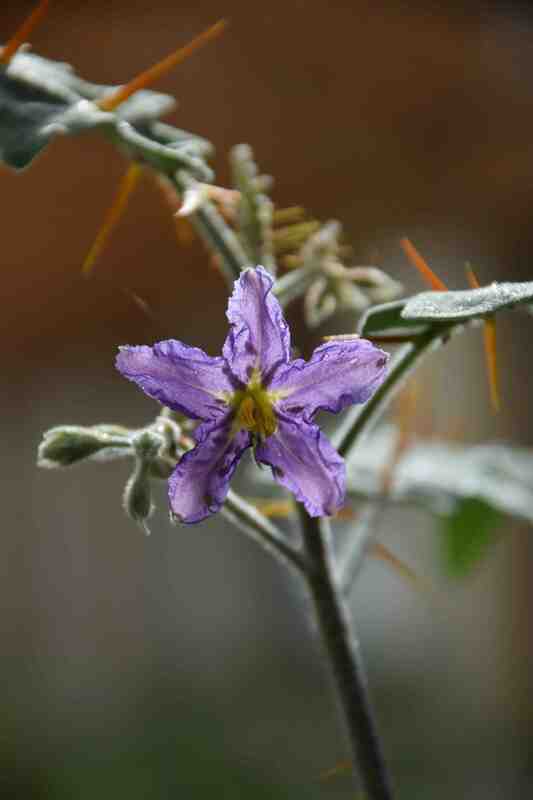 Now my Solanum pyracanthum plants are in their second year they are starting to bloom. I left a couple out over winter and, as expected, they died. But the other seedlings were kept in the greenhouse in a minimum of 5c and all survived. repotted this year they are growing away well and some have been planted in the border – these will be sacrificed at the end of summer (if we get one) and two will be grown in pots so they can be kept for another year. 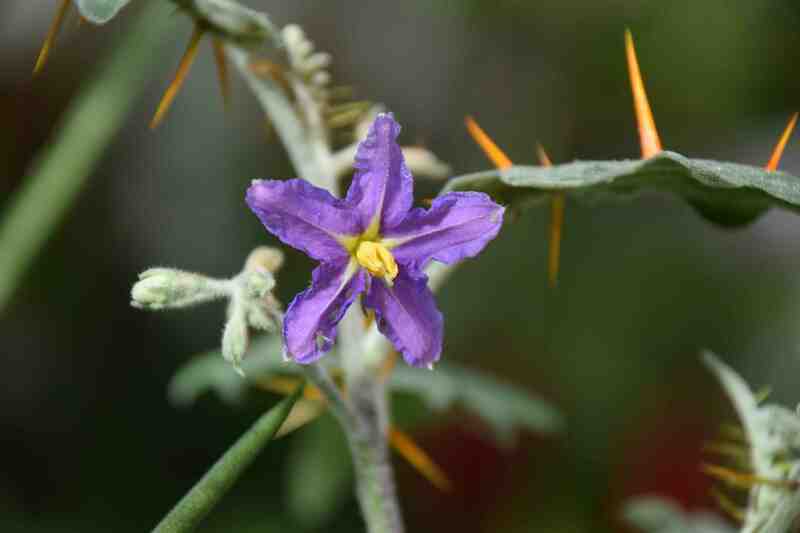 This remarkable plant, commonly known as the porcupine tomato, and is native to Madagascar. From a very early stage the plants are covered in savage, but beautiful, orange prickles – you would not want to weed these from among other plants. The flowers are typically ‘solanum’ and light purple and a good contrast with the silver, felty leaves and orange prickles. In time this plant should exceed 2m in height but mine are much smaller and that is OK with me. Full sun and well drained soil are the keys to this plant I think though I will up the feeding of the weather picks up to encourage stronger growth. Taking photos is always useful but was helpful on this occasion too – I had not noticed the aphids on the flowers till I took the photos. Like so many of the family it seems to be a martyr to these pests so I will have to keep an eye out for them.